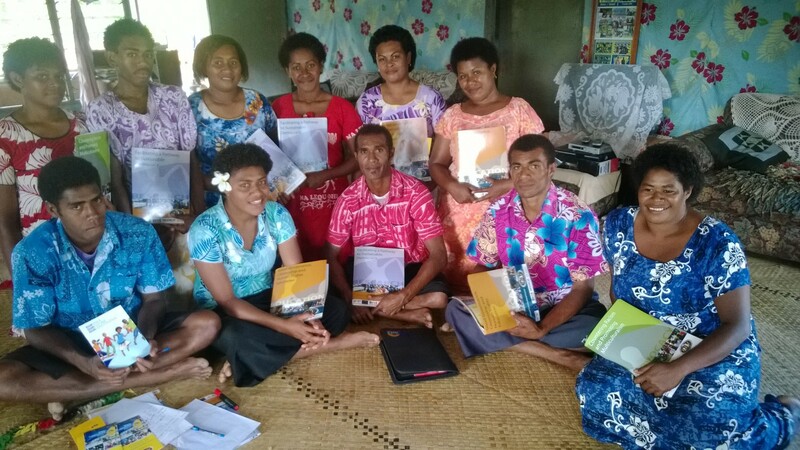 Youths from the village of Vunaqoru, Tikina Naqalimare and surrounding villages of Nadroga/Navosa province are currently undergoing an Effective Leadership and Good Governance Training facilitated by the Citizens’ Constitutional Forum (CCF) that empowers youths to be more active and participate in community development. Being the future leaders of our communities and nation, CCF through this training aims that the Vunaqoru youth group and surrounding villages will be equipped with good leadership qualities and practice good governance principles. “Youth leaders play an important role in the development of their communities and future leadership roles. CCF aims to empower youths in Navosa to initiate development in their respective villages, which will assist them financially and deter them from crime,” said CCF’s Community Education and Field Officer, Sereima Lutubula. Youth Participants at CCFs Effective-Leadership and Good Governance Training at Vunaqoru- n Tikina Naqalimare in Nadrogo-Navosa Province. “This workshop will enable young people to realise their potential and how they can use it not only to contribute to community developments but their personal development as a young person,” said Lutubula. The two-day training, conducted for the first time in the village, also includes village headmen and women that CCF hopes to advocate along with building leaders’ capacity in areas of good governance and leadership, enabling a participatory approach to their projects and avoiding top-down hierarchies. CCF hopes to equip young leaders with the knowledge to conduct their own needs analysis with their community and identify development projects. The training will provide practical project writing skills and information to village leaders and youths so they know how to access funds for development projects. From pervious CCF’s community education workshops it has been identified that village elders or leaders need to include youth in the decision-making process and provide an opportunity for young people to thrive and contribute positively to their communities. The United Nations Strengthening Citizens and Engagement in Fiji Initiative (SCEFI) supported this training. The training started yesterday and will end today.